Franklin Caliendo was born on 19 January 1974, in Chicago, Illinois USA, of Italian descent. He is a comedian and impressionist, best known for his impersonations on MAD TV, Fox NFL Sunday and his own show “Frank TV”. 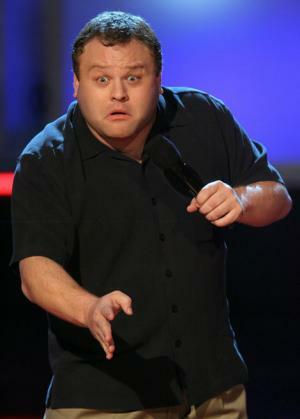 A famous comedian, how rich is Frank Caliendo at present? Sources state that Caliendo has established a net worth of over $15 million, as of mid-2016. He has accumulated his wealth through his involvement in the business of comedy. Caliendo grew up in Waukesha, Wisconsin, along with his two siblings. He was an avid baseball player, participating in the prestigious Amateur Athletic Union/Junior Olympics National championship baseball team in the late ’80s and early ’90s. However, multiple injuries prevented him from continuing a career in competitive sports. He attended Waukesha South High School and later enrolled in the University of Wisconsin–Milwaukee, majoring in Broadcast Journalism. While at college, Caliendo began performing stand-up comedy, taking a job as master of ceremonies at a local comedy club. Not long after, he became known for his impressions which enabled him to establish a reputation as one of the best comedy performers on the college circuit, being nominated for College Comedian and Entertainer of the Year by the National Association of Campus Activities in 1999. Caliendo made his television debut in 2000, appearing in the last season of the comedy sketch series “Hype”. The same year he appeared on Fox NFL Sunday, as a guest to comedian Jimmy Kimmel. After his applauded impression of sports commentator John Madden, Caliendo had appeared several more times on the program, before taking a job as the program’s prognosticator in 2003, giving his predictions on the NFL games, and performing his impressions. He remained on Fox NFL Sunday until 2012. The program has greatly contributed to Caliendo’s popularity and to his net worth as well. Meanwhile, in 2001 Caliendo began working as a repertory performer on the Fox Network comedy sketch television series MADtv, adding new life to the show with his impressions of Madden and George W. Bush, which became some of the most popular impressions by MADtv’s cast members. Caliendo’s MADtv performances led him to appear on numerous television shows, such as “Late Show with David Letterman“, “The Late Late Show with Craig Ferguson“, “Late Night with Conan O’Brien“, “Premium Blend”, “Late Late Show with Craig Kilborn“, “The View”, “Comedy Central Presents” and many others. He was also heard on a number of radio shows, including “The Bob and Tom Show”, “Opie & Anthony” and “The Howard Stern Show”. All added to his wealth. Aside from Madden and Bush, Caliendo’s other popular impressions include analyst Charles Barkley, sportscaster Jim Rome, comedian Robin Williams, and actors Morgan Freeman, Jack Nicholson, Robert de Niro and William Shatner. After his departure from MADtv in 2006, Caliendo appeared in the 2007 film “The Comebacks”, portraying the comedian Chip Imitation, who impersonates John Madden and Al Michaels in the championship game between the Comebacks and The Unbeatables. The same year he starred in his own comedy sketch television show “Frank TV”, performing his famous impressions. The show aired on TBS for two seasons until 2008, intensifying Caliendo’s wealth. In the years since, the comedian has made several television appearances, such as in the series “Hot in Cleveland”, “Sullivan and Son”, “The Birthday Boys” and “Gravity Falls”, all adding somewhat to his wealth. When speaking about his personal life, Caliendo has been married to Michelle Caliendo since 2003; the couple has two children. TV Shows "MADtv, "Frank TV", "The Bob & Tom Show", "Hype", "Fox NFL Sunday", "The View", "Comedy Central Presents", "The Bob and Tom Show", "Opie & Anthony", "Hot in Cleveland", "Sullivan and Son", "The Birthday Boys", "Gravity Falls"
1 I love John Madden because he makes me feel smart. 2 [about celebrities who might not like his impressions of them] I don't do these things to be mean, I do them to make money. 3 You know what I would do? I would remake The Wizard of Oz (1938) with Robin Williams, and that's it. Just let him do the whole dang thing by himself. 4 Celebrity impersonations include John Madden, Jim Rome, Robert De Niro, Al Pacino, President George W. Bush, Bill Clinton, Andrew Rooney and Robin Williams. He has also done Donald Trump and Rosie O'Donnell. 5 Attended Waukesha South High School in Waukesha, Wisconsin.